Iranian state television has aired more allegations against jailed British-Iranian woman Nazanin Zaghari-Ratcliffe. The footage included a close-up of a BBC payslip and an email from 2010 allegedly showing she once worked on a programme training Iranian journalists. “An innocent citizen or a British agent?” the Iranian news anchor asked as the footage was aired. Her husband, Richard Ratcliffe, said the report was aimed at increasing pressure on the British government which is working to secure her release. 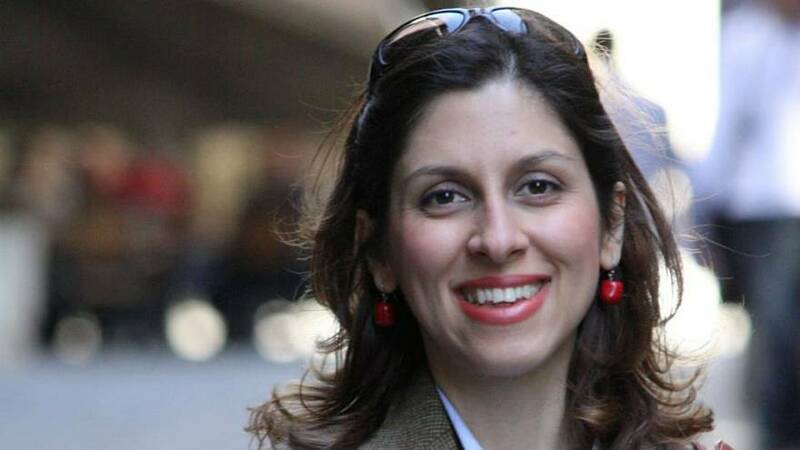 Zaghari-Ratcliffe is already 14 months into a five-year jail sentence for spying and now faces another trial in December and possibly another jail sentence. When she was arrested in Iran on holiday in 2016 she was with her daughter who was then taken away from her and is now being looked after by her Iranian grandparents. On Saturday, a rally to set her free was held in north London, where she used to live with her husband and her one-year-old daughter. “We have Tulip Siddiq, who’s our local MP; we have [actress] Emma Thompson, who lives in the community, just coming down and just showing Nazanin that she’s still cared for and still looked for,” Richard Ratcliffe said at the rally. Zaghari-Ratcliffe worked for the Thomson Reuters Foundation, which has repeatedly said she was not working in Iran and did not train journalists.